This well maintained 2-story home is the "proximity minded" person's dream! Centrally located between Downtown Fenton and "town" for shopping, dining and entertainment. 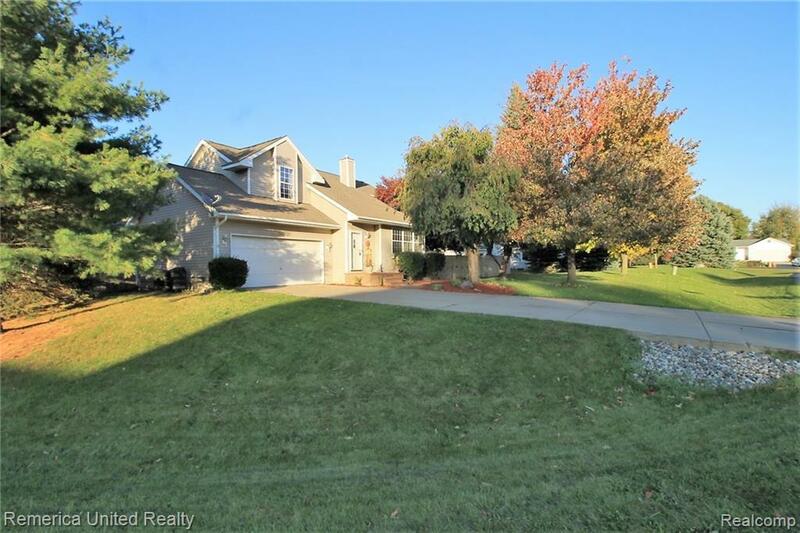 Walking distance to the High School and Middle School and a quick trip to US23 for commuting. After a long day of work, spend your evenings on the large North facing deck (sun all day) in the large privacy fenced back yard! Fresh paint throughout the interior, and laminate & ceramic floor throughout the living spaces makes it easy to move right in. After the sun goes down, spend your evening in the vaulted great room with a warm cup of tea and a movie! The finished basement helps keep the high functioning activities out of the relaxing Great Room. New holding tank for well and reverse osmosis system in 2016. You don't want to miss out on this home, houses don't last in this subdivision!